Your hiring process is as good as the learning you put in it. What can past success or failures tell you about the efficiency of your recruitment efforts? How can you best use them to predict a more impactful future? These are the questions a hiring manager should ask themselves every day and hireXP is here to help you answer them. Explore our top of the line analytics and metrics tools to better understand the efficacy of your time and effort, precision plan future campaigns, and deploy your resources more purposefully. Do you know what is the quality source of candidates for you? It is rarely the same for two companies. Use the candidate Source report to analyze which channel works the best for you, whether it is job boards or agencies or referrals. The Hiring Velocity report tells you the average time taken to close an open job, identifies the time and process efficiencies and helps you plan and implement system improvements over time. Industry studies show that internal referrals are often your best (and often underused) source of quality candidates. Not only does a good referral program increase quality-of-hire, but also does so at a fraction of the cost and in much lesser time. 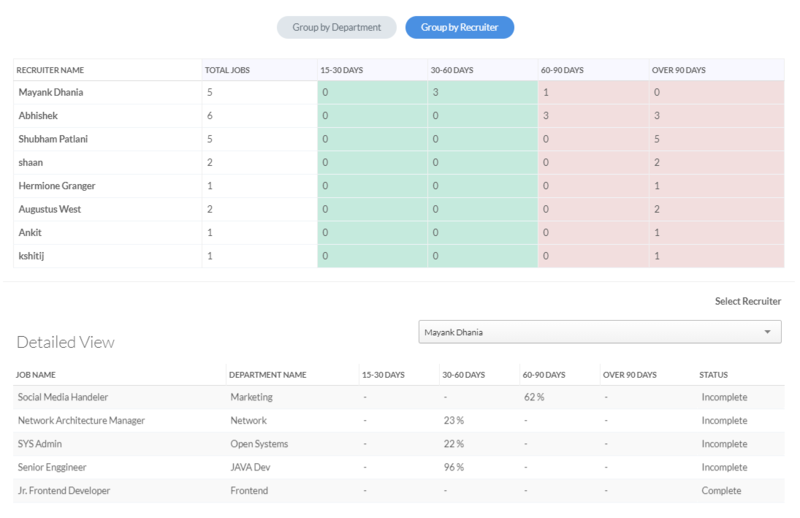 The referral report shows you whether referrals contribute a healthy percentage to your recruitment mix, and helps you keep track of special referral campaigns which you may run from time to time. This report helps you track the average time taken in hiring a candidate, and also tells you how this metric compares across different departments, jobs etc. This helps you better understand the differing requirements of different jobs/skills, and helps you plan your pipeline accordingly. Do you know what is the most quality source of candidates for you? It is rarely the same for two companies. Use the candidate Source report to analyze which channel works the best for you, whether it is job boards or agencies or referrals. The Hiring Velocity report tells you the average time taken to close an open job, identifies time and process efficiencies and helps you plan and implement system improvements overtime.